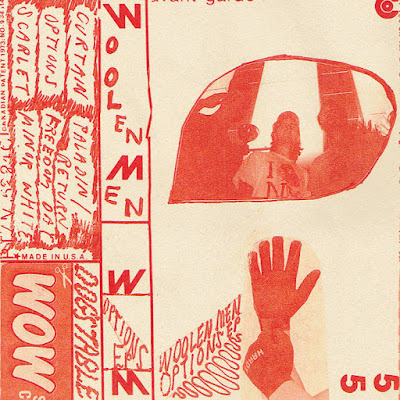 Portland’s Woolen Men have already stung 2015 with a great LP released on Woodsist, but it seems they had more to give. Self-released as a cassette, Options gathers up six more cuts that lean on the band’s love of smashing 90’s grunge into propulsive post-punk. The tape is brief but from the outset the collection hits hard with the band finding a way to roll their sound in some gravel via opener, “Curtain,” then wiping down the speakers for a run through taut guitar territory. They cool for a bit on “Scarlet” before closing out the EP with a trio of muscular indie romps. 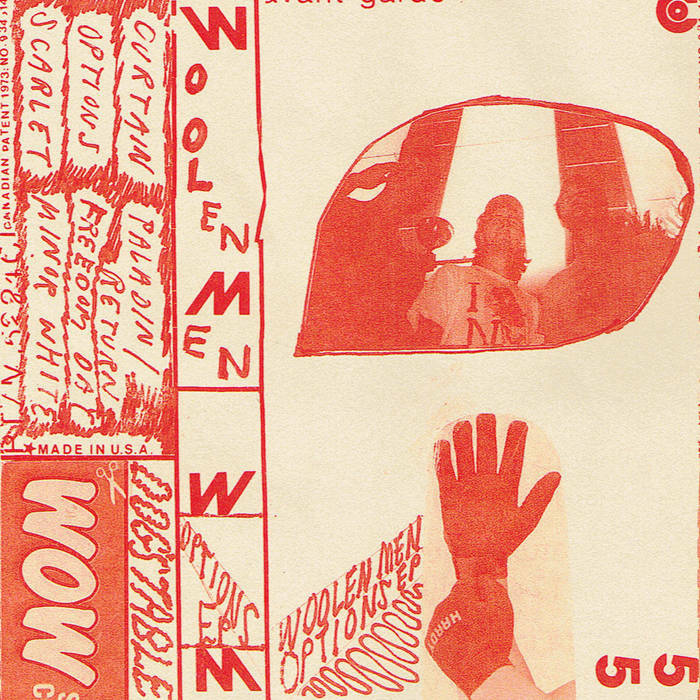 The band is at home in the live setting, running through the Northwest’s DIY show scene in a regular rotation but with releases like this and the previous Temporary Monument they’re proving that their recorded output is just as enticing as the live experience. 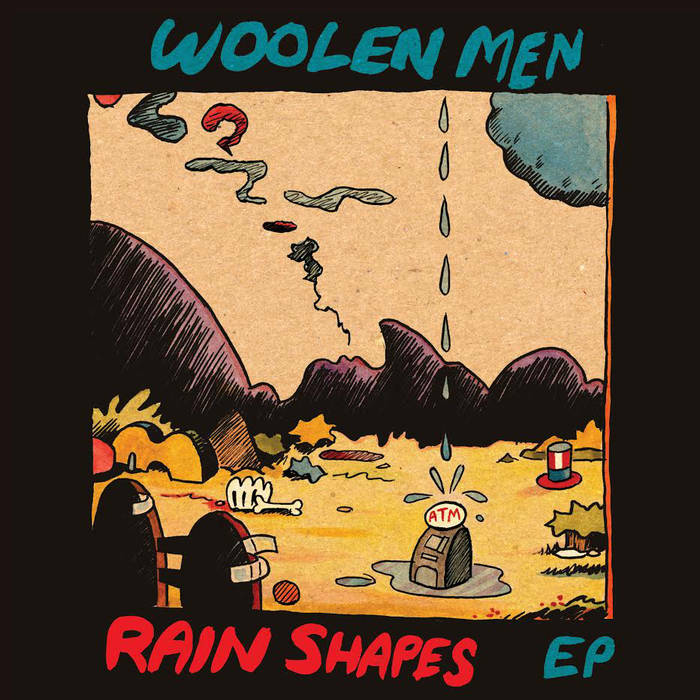 Rain Shapes, the new seven-inch from Portland trio Woolen Men, is a charming affair. Trim, energetic and raw, it plugs along with a relentless bounce in its step. 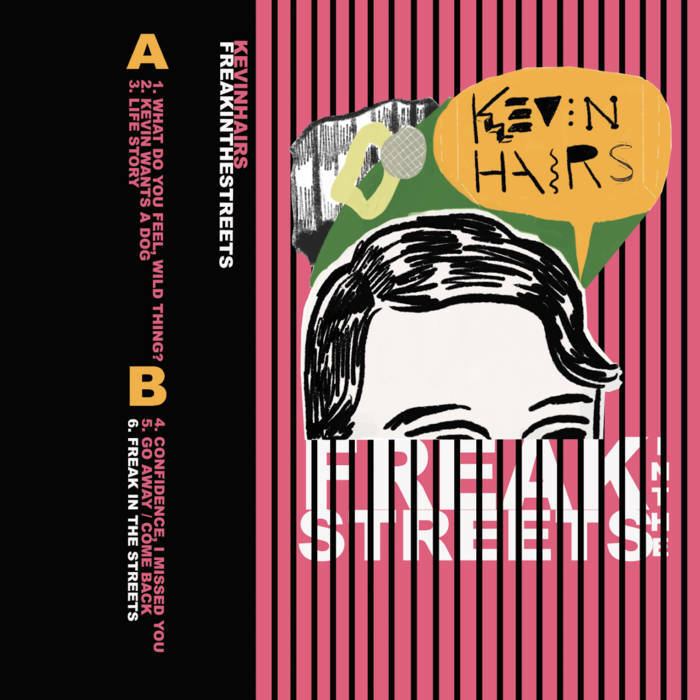 The four-track EP is a mix of lo-fi trappings and garage-y swagger, but it never feels like the group is trying to do too much. They’ve found a nice pocket of thrashy acoustic guitar, alt-rock beats, and really solid bass work, and they stick to it. Why? It works. “Rain” is the opening track–and also the most explorative. It opens with a Rembrandts-esque guitar lick and segues into a rollicking acoustic chord riff. Like the other tracks, it’s upbeat, running on the steel backbone of a distinct, popping bass line. A harmonica break drops in, and the track fleshes itself out, revealing a subtle tinge of folk influence. “X Marks the Spot” and “No Deal” see a return to the more straightforward structure–crashing guitars and frenetic beats. 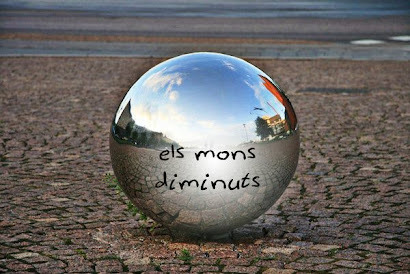 The vocals are occasionally slightly ragged, but you get the sense it’s intentional, and rather than distract from the music (aside from the occasional sound imbalance), they add to the EP’s unapologetic charm. Rain Shapes holds its own, and it’s worth keeping an ear out for Woolen Men as they continue to grow moving forward.